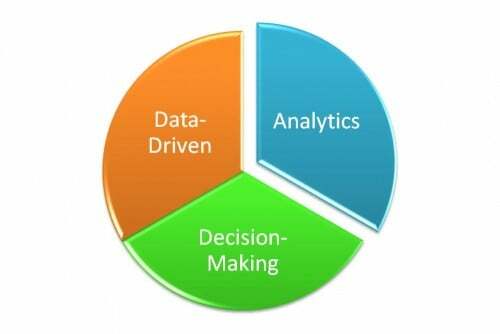 Data analytics is one of the most important aspect for a business to grow in the market as it works as a filter to acquire meaningful insights out of huge data-set. It is the very subject that has roots in every possible domain and helps organizations in decision making by analyzing the raw data. The article written below talks about Game Analytics, i.e the analyses of data in the field of gaming and Ankush Gera, CEO of Junglee games describes how the inspection, modelling and carefully study of the the user’s pattern can yield better results for the gaming industry. We once lived in a world, not too long ago, where games were distributed on a compact disk. A place where developers partnered with distributors to get a game into retail stores. Where games were bought through the interaction of a human being with cold hard cash. In that time, a game company calculated their success through positive reviews of game magazines or stores screaming, “We’re out of stock. We need 10,000 more!” Today everything has changed through the access of billions of people with our ever-expanding friend, the Internet. Game companies couldn’t be more excited at the potential amount of people who may be entertained through passion and creativity. Although, game companies must be aware that the calculation of true success may only be done by learning about our fellow gamers through data. We spy on our customers through data analytics every day. This is done by recording actions that people invoke in my games from the moment they tap the app icon to enter our game. Every tutorial step, mission completed, chip won or game lost is recorded so we may communicate to our customers. After acquiring millions of data points, we begin to interview thousands of people through data using questions like, “Why did you not come back after playing on March 7th?” or “Did you buy in-app currency because you lost to your friend with a flush against a straight?” This process allows us to effectively discover who enjoys our creations and the psychology of why we’ve spawned an addiction in their lives. Like it or not, humans are driven by habit. Using data analytics, game companies are able to leverage this knowledge. A GDC 2015 talk, “The Gamer’s Brain: How Neuroscience and UX can impact Design” by Celia Hodent shares prominent insights of how games affect people through science. New research involving the psychology of data analytics can finally be proven statistically significant with the heaps of data acquired today. Some companies go as far as calling themselves data driven and even shut down games after spending millions because their analytics resulted that they won’t make the top 10 charts. Analytics may be a paramount for game companies to thrive, but we strive to find balance through innovating innovation and follow gut feelings that are usually desensitized by data. As an industry, we have fallen into a habit in slaving away to data and cloning what has already been perfectly tuned to gamers. On the contrary, we’ve met a lot of companies who’ve forged beautiful games and only look at the metrics of how many sales they receive per day.